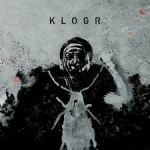 Share the post "Album review: KLOGR – Keystone"
Keystone is the new album from Italian-American alternative metal outfit, Klogr. Some may find the juxtaposition of very melodic, rather proggy instrumentation with grungy, alt-rock vocals something of an acquired taste but there are certainly some strong tunes here. One of the stand-out tracks is ‘Dark Tides’, dedicated to the marine conservation campaigners, Sea Shepherd, with whom the band have had a long association. Melodic and thoughtful, yet forceful and, at times, downright brutal, it warns in dramatic fashion of the threat posed by the destruction of the ocean ecosystem. The album has been mixed by triple Grammy winner, David Bottrill, who has an impressive CV, working with the likes of Peter Gabriel, Muse, Smashing Pumpkins, Tool, Dream Theater, Stone Sour and Rush. This entry was posted in ALBUM REVIEWS, ALBUM REVIEWS (Mobile), All Posts, PURE METAL (All posts), Pure Metal/Album reviews and tagged album, alternative, Keystone, Klogr, metal, review, rock. Bookmark the permalink.